Disappearing Act, the only European Film Festival in NY is celebrating the fourth year April 11-22 with undistributed gems from emerging European filmmakers including Michael Hers, Miguel Gomes and Nanook Leopold. I am honored to be part of this year's event with my colleague Ben Umstead at Twitchfilm. The Czech Center New York and the Romanian Cultural Institute in New York, in collaboration with 23 other European cultural institutes and consulates in the framework of the European Union National Institutes for Culture (EUNIC), present the Disappearing Act IV European film festival in New York. This year, the series presents films in three venues with an opening night event, the screening of Marc Bauder's film The System, at the IFC Center on April 11; two days of screenings at Tinker Auditorium at the French Institute Alliance Francaise (FIAF) on April 13 and April 14; and in the digital cinema at Bohemian National Hall, from April 12-22. The festival will present 25 contemporary European films from Austria, the Wallonia-Brussels and Flanders regions of Belgium, Bulgaria, Croatia, the Czech Republic, Estonia, France, Germany, Greece, Hungary, Italy, the Netherlands, Poland, Portugal, Romania, Serbia, Slovakia, Slovenia, Spain, Sweden and Switzerland. 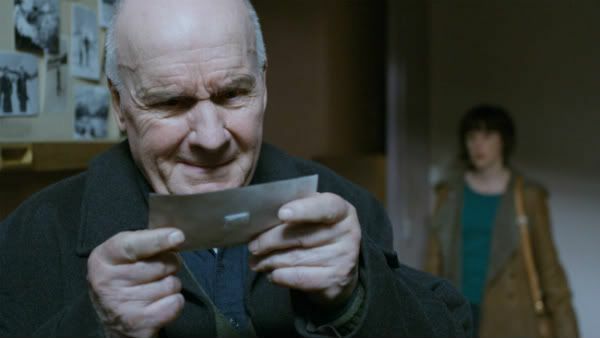 The Little Room is a film about aging and loss, directed by two female Swiss filmmakers (Stephanie Chuat and Veronique Raymond). Unfortunately for them, it invites inevitable comparisons with The Mourning Forest, the Cannes Grand prix winning film directed by Naomi Kawase, which shares the same subject matter. Here the setting is snow covered Switzerland and the Alps instead of the green forest of Japan in summer. Sad faced Florence Loiret Caille plays a nurse and grieving mother and the great Michel Bouquet plays a stubborn old man who refuses to be looked after. It would've been a lot better if the directors restrained themselves on exposition through dialogue. The financial crisis in Greece is leaving an indelible mark on its citizens' psyche. Argyris Papadmitropolous and Jan Vogel's Wasted Youth reflects this grim mood, leading up to the riot that erupted in 2008. There are two story lines: one about an aimless young skater and the other, an overworked, underappreciated cop. You can already draw a conclusion. With long, handheld takes and a realistic approach, the film strongly resembles Gus Van Sant's work. 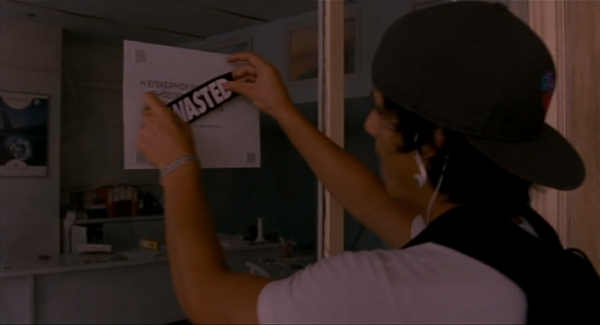 Brooding yet not too distanced for us to feel alienated, Wasted Youth is a subtle and poignant work that is a stark contrast to the current crop of mischievous, sensationalistic Greek films (Dogtooth and Attenberg come to mind). Romania, at least in films, seems like the bureaucratic purgatory discarded by the former Soviet Union, while its citizens are left to fend for themselves. 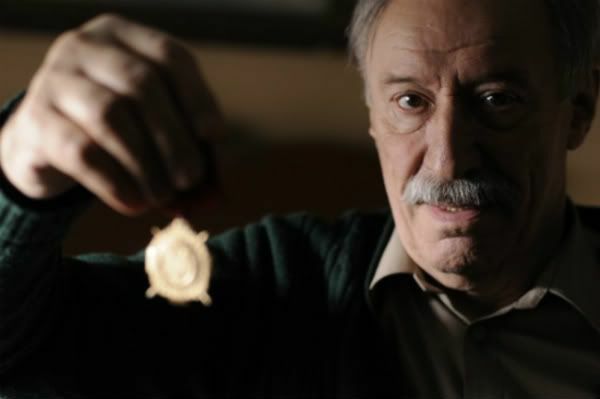 In this Tuttle/Buttle black comedy, an aging pensioner Ion Ion (Victor Rebenguic) is falsely awarded a medal of bravery in WWII that he does not recall. He at first is suspicious about it, then elated, then outraged by the government recalling the medal because it was supposed to be given to a different Ion. Filled with funny little details about living in a squalid former communist country, and with plenty of humanism, Medal of Honor is definitely worth checking out for the fans of Romanian New Wave.